Telemedicine is an easy-to-use service for physicians. Besides providing a convenient and vital service for families, it keeps primary care providers more involved in their patients' care. Telemedicine is simple and empowering. We use high-definition live video and Bluetooth equipment to provide high-quality pediatric specialty care from our physicians to your patients. Call the Children's Telemedicine office at 404-785-DOCS (3627) or fax your order to 404-785-5855. The patient will receive an appointment at a telemedicine location near him. An onsite healthcare provider will facilitate the consultation with a Children's subspecialist. At the conclusion of the telemedicine appointment, the Children's subspecialist will complete consultation notes. Download our order form below, fill it out and fax it along with other supporting documents to 404-785-5855. The Telemedicine Program at Children's offers distance learning opportunities using our advanced technology and specialized medical video capabilities. Presentations are offered the second Tuesday of every month from 12:30 to 1:30 pm. 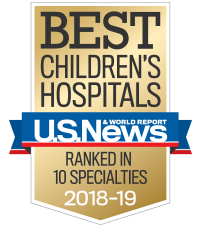 Children’s is accredited by the Medical Association of Georgia to provide continuing medical education for physicians and is an approved provider of continuing nursing education by the Alabama State Nurses Association, an accredited approver by the American Nurses Credentialing Center’s Commission on Accreditation. Children’s resolves to ensure that its educational mission, and particularly, its continuing medical education activities are not influenced by the special interests of any corporation or individual associated with its program. While having a financial interest or professional affiliation with a corporation does not necessarily influence a speaker’s presentation, the standards of the Accreditation Council for Continuing Medical Education require that this relationship be disclosed to the audience. Any potential conflict of interest will be made known to participants at the beginning of the session. Contact Charlotte Guest at 404-785-2176 for more information.